Many people think of purchasing retirement or vacation homes at one of the hottest destinations in Mexico: the Caribbean. However, more and more people are looking over to the beautiful Pacific coast of Mexico and deciding to invest in their second or retirement homes there. The most popular place to flock south to in the Pacific coast is Puerto Vallarta, located in the state of Jalisco. Nevertheless, Nuevo Vallarta – found in the neighboring state of Nayarit – is quickly becoming a hotspot for expats looking to retire to a gorgeous beach town or to simply invest in a luxury vacation home. Related: How do we get started looking for real estate in Puerto Vallarta, Mexico? Nuevo Vallarta was built over 20 years ago as a vacation destination, an extension 8 miles north of Puerto Vallarta. Targeted at mainly Americans looking for a hotspot vacation area, the beautiful and vibrant town developed amazing luxury real estate, perfect for relaxing and enjoying the calm and gorgeous Pacific Ocean. In the heart of it all, lays Los Flamingos Estates, hosting numerous luxury developments. The neighborhood of Banderas Bay is spread along the beautiful coast; it is a one-of-a-kind gated community with several developments. It is here that you will find the luxurious Quinta del Mar, an exclusive community with an old Hollywood glamour edge and an architectural design that will have you thinking of the ocean 24/7. The oceanfront development is designed with an open style and semi-circular shapes, allowing the rooms to flow in perfect harmony. The condos at Quinta del Mar are four bedroom glamour and luxury properties, featuring a spacious master bedroom perfect for relaxation. 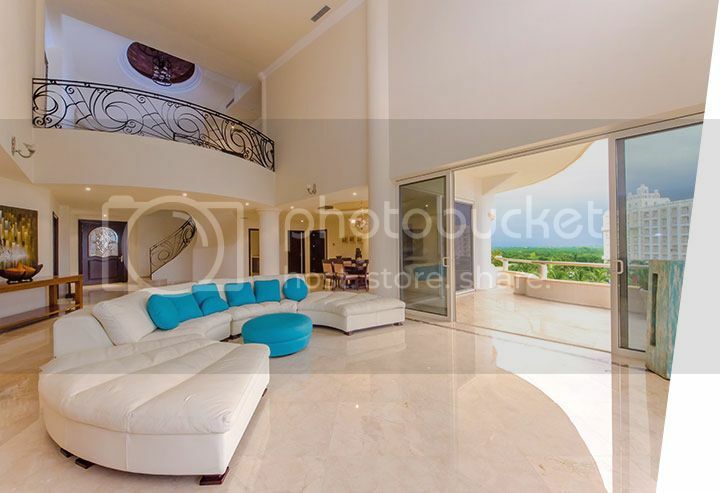 It has a beautiful terrace overlooking the ocean, an en suite bathroom with a Jacuzzi that has a spectacular ocean view, and a huge walk in closet. 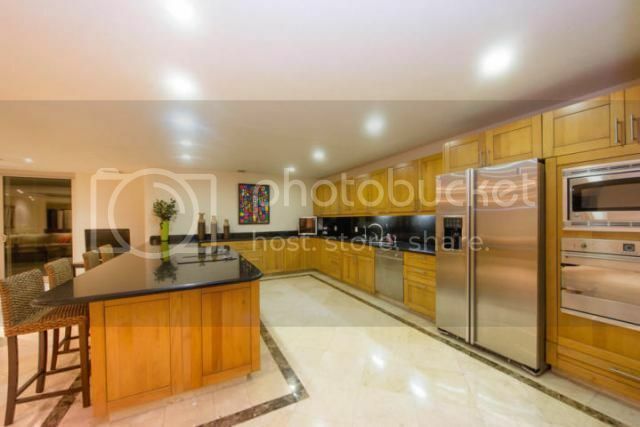 Those who love to cook in grand and stylish places will love the open kitchen space (equipped with premium appliances) and prep island, which connect directly with the dining room. The living area is not only gracefully designed and spacious, but it also features a large bar. The great windows featured throughout the condos offer unique and amazing views of the ocean and the coastline, creating an open and elegant space to host gatherings with friends and family, or simply relaxing after a long day at the beach. These condos start out at $701,500 USD; the luxury finishes in every corner make every last penny invested worth it. The amazing luxury inside these condos spreads to the beautiful grounds that surround the development. Amongst the many amenities offered at Quinta del Mar are the gorgeous beachfront swimming pool, tennis courts, gym, spa, a restaurant, clubhouse with a bar and grill, parking areas, and convenience shops. Furthermore, it has controlled access and 24-hour security at the main entrance. Additionally, each tower has secured access and each residence has a closed-circuit camera. Quinta del Mar is perfect for those longing for a home with the benefits of living in a condominium complex. Due to its architectural design, the open spaces, and the large construction area, the condo feels much more like a house than an apartment. 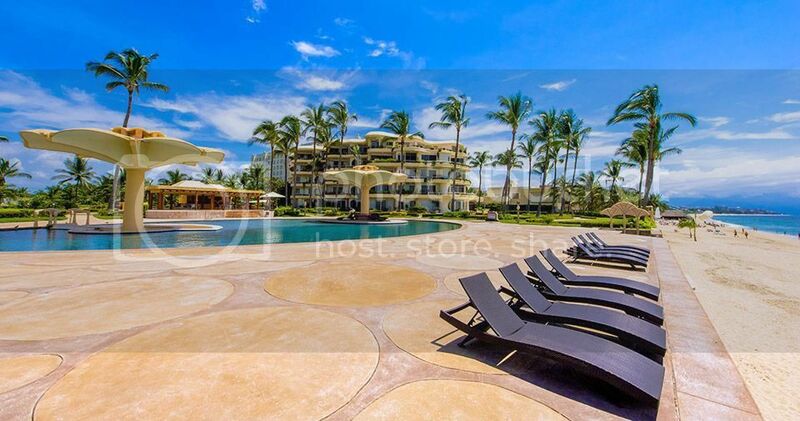 Nuevo Vallarta has grown as a vacation resort complex and within easy reach of Quinta del Mar and Banderas Bay you will find anything you need for you comfort. From services, to bars, restaurants, and more, you are only a short drive away from anything you may want or need. Additionally, Nuevo Vallarta is a short 8-mile drive north of the Puerto Vallarta International Airport which has direct flights to and from the USA. Live the luxury lifestyle you want and deserve at the beautiful Quinta del Mar in Nuevo Vallarta! Now, if you have any questions about Quinta del Mar, or any of the Top Mexico Real Estate properties we have listed anywhere throughout Mexico, please feel free to contact any of our Top Buyer’s Representatives who will gladly help you find the house of your dreams in paradise.